Tis’ the season when I would traditionally write a Christmas newsletter to keep family and friends informed as to our annual happenings. However, with social media such as Facebook, those people now know perhaps too much of what I am doing! It has been fun to learn that I am far from the first in my family to write those annual holiday letters. 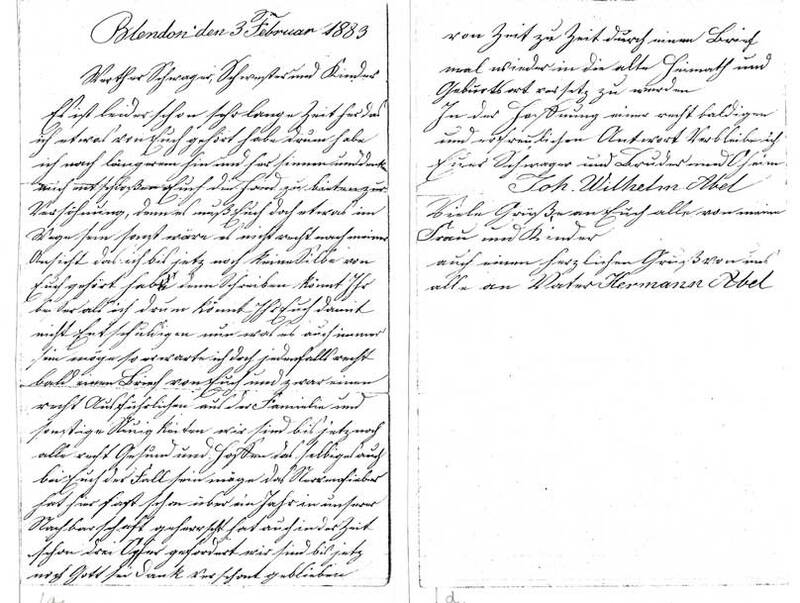 In February 1999, I visited the German hometown of my great-grandfather, Johann Wilhelm Abel. 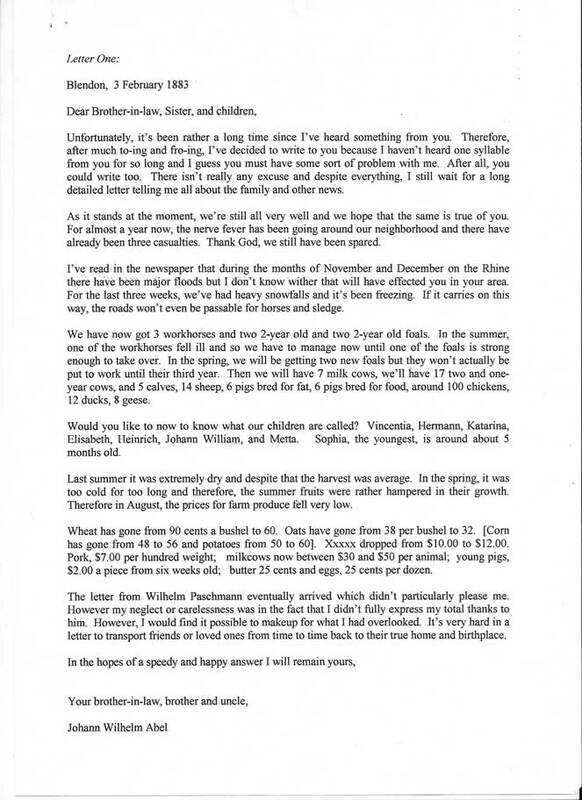 The distant relatives that I met there, shared with me a few letters that my great-grandfather had written to his sister and her family, still living there. They would not give the letters to me but they were happy to give me photocopies. The next adventure was to find someone who could translate that older version of the German language. Lucky for me, my neighbor at the time had a German-speaking mother. She translated the older version into modern German, then my neighbor translated the modern German into English for me! The letters written in his later life were written with a very shaky hand and were not able to be translated at the time…perhaps I should try again? This letter reveals to me an educated man; well-written sentences in very neat penmanship. By this time, he has been living in the United States for nearly twenty years but he still cares deeply about his family back along the Rhine and he longs to hear news from those he left behind. It was really interesting to read the letter. However, it opened up more questions as to the family dynamics. Looking forward to the next one. Great job!